Fellow mechanics, how do you keep your skills and knowledge sharp? In today’s modern and fast paced day and age, ongoing training and development is probably imperative for most professions, however with so many car makes and models around and car technology constantly evolving it seems that car mechanics in particular are required to continuously update and refresh both their skills and knowledge. Especially as a small business, training and development budgets are often tight, so we always think harder when it comes to keeping pace and our skills and knowledge in the mechanic game! If you’ve read our post on car fault self-diagnosis, then you know that we take information published on the internet with a pinch of salt, however as long as the original author is a trusted source and if you are experienced in the field you are researching, the likes of Google, YouTube and Twitter are definitely on the list of our top training resources. Even training courses are delivered online these days, and surely there are plenty of reputable and trustworthy providers, however when it comes to classroom style lessons, we actually prefer to ‘go’ to school! Nothing like a bunch of like minded people in a room with an experienced and knowledgeable human being passing on their wisdom. And because we love real human beings and action so much, the likelihood that you will find us at a good old car and mechanic exhibition is definitely above average, though we do tend to go for the local ones. Here’s a taster of the last Classic Car Show in Alexandra Palace. Fantastic place to learn about latest technology and industry developments, pick up tons of print material and of course network face to face! These always seem to catch our attention at airports. During the usual working week routine it always seems harder to actually sit down and have a read, but when on holiday car magazines always go well down a treat. 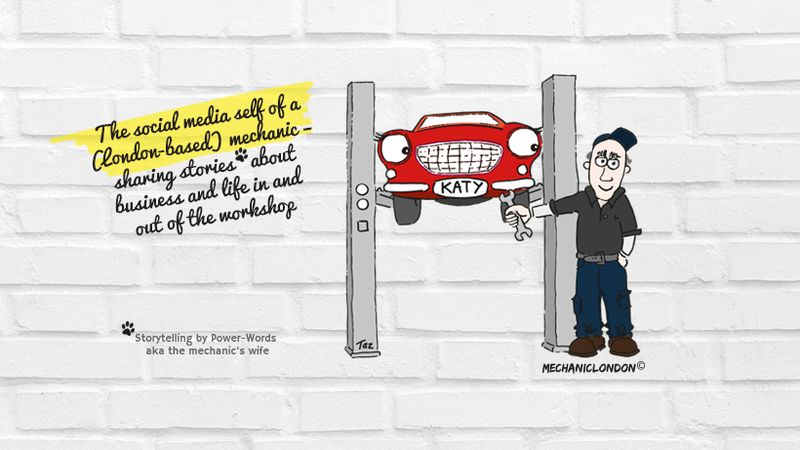 Loaded with photos, illustrations, case studies and stories about particular faults, latest news about the market place and even looks into other garages, magazines make for easy one-stop knowledge fillers. What’s not to love! Learning the ins and outs of car mechanics doesn’t get any easier, fun and more detailed and interesting than this. “Wheeler Dealers” Edd China and Mike Brewer are real characters, but most of all true experts and clearly passionate about their quest to restore the most iconic cars in the world. And look what we have in stock for you here: The Mechanic London meets the Wheeler Dealers! Yes really! Another one on our list of top ‘mechanic trainers’ is of course “Chasing Classic Cars” presenter Wayne Carini. Enough from us, we’d love to hear from you! What other tips and tricks are there to keep on top of things in the ever evolving car mechanic industry? Posted on 27/01/2016 by mechaniclondon	• This entry was tagged Brent Autos (est.1989), car technology, garage services, mechanic training. Bookmark the permalink.